What is Meant by Predictive Maintenance: Are Your Employees Trained? NTT Inc. - What is Meant by Predictive Maintenance: Are Your Employees Trained? Proper maintenance is essential to keeping your business equipment running smoothly and producing profits. A detailed maintenance schedule reduces the resources businesses need to commit to expensive emergency repairs. Predictive maintenance techniques further reduce the probability of breakdowns that interrupt production and endanger the longevity of businesses. What is predictive maintenance? How can your employees use it in their daily tasks? Predictive maintenance is a time-based maintenance routine. Like other maintenance methods, technicians inspect the condition of equipment and components. However, predictive maintenance seeks to do more than assess the current condition of the equipment. Technicians gather data that, over time, give them an accurate and long-running picture of how the machinery works. Using their logs, technicians can predict when equipment is likely to experience a malfunction. Monitoring can be done periodically through manual observation or continuously via an electronic logging device. Either way, the collected data allows engineers to establish a baseline for normal operating parameters. When parameters start to move outside of the normal range, technicians know that it’s time to dig deeper and find the root of the problem. Predictive maintenance should not be confused with preventative maintenance. Though similar, there are some important differences. Preventative maintenance begins when equipment reaches a certain age, or an adverse event occurs. Predictive maintenance, on the other hand, is based on the actual condition of the equipment. Instead of changing out parts just because it’s on the schedule, predictive maintenance saves money by watching the equipment’s performance and only replacing parts when readings indicate a potential problem. The types of technologies used in predictive maintenance depend on the industry and purpose of the business. These techniques and tools are highly flexible and can be applied to any enterprise that uses mechanized equipment. Manufacturers, warehouses, and a variety of other commercial enterprises depend on mechanized equipment to bring goods and services to the market. Equipment downtime negatively impacts labor costs and makes it harder to fulfill customer orders. Emergency repairs can eat away at cash flow and put your business at risk. Predictive maintenance reduces the amount of time machines are down, so your facilities are always running at full speed. Since maintenance is performed before the equipment actually suffers a breakdown, maintenance can be scheduled to accommodate production demands. According to Inc. Magazine, businesses that use predictive maintenance will save a combined total of $630 billion by the year 2025. Business owners and managers who want to reduce costs without a large initial investment should begin to implement these techniques in their processes as early as possible. 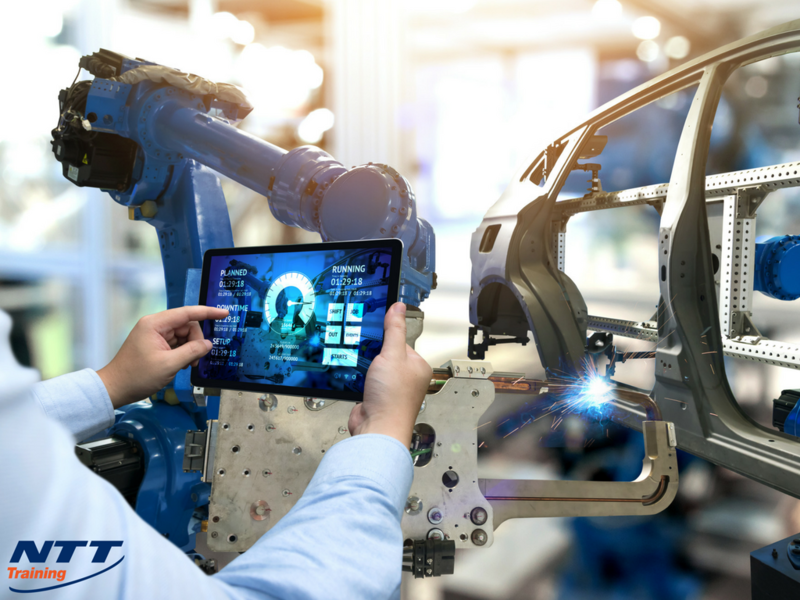 The Predictive Maintenance Course at NTT Training provides your employees with the knowledge to implement predictive maintenance in your operations. This 5-day training is suitable for electrical workers, mechanics, safety directors, and anyone in your organization who works with essential equipment. For more information about this exciting and helpful course, connect with NTT Training today! This call could make a huge difference for your company.